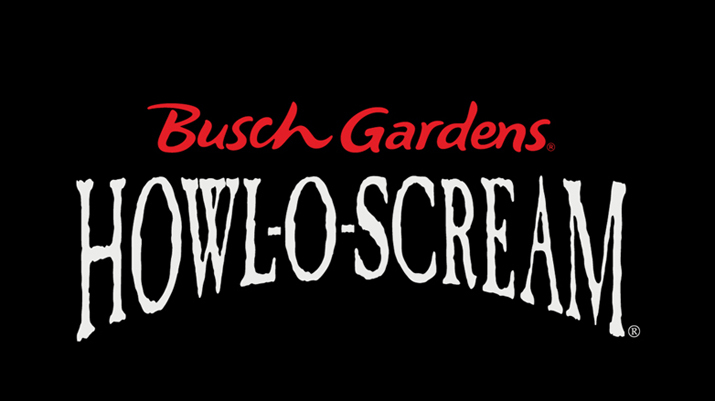 Taking a swing back to the East Coast and having a look at what's new for this year's Howl-O-Scream at Busch Gardens Williamsburg. Been loving that this event has started the turnover from some of the older mazes and scare zone territories over the past few years and 2017 is no exception to that. This year, they've got an all new maze, Frostbite, and a new scare zone with Axe Alley. Though, as with all new things, the old must go. And that means Bitten and Wendigo Woods have both been sent to the shredder. I'm a little perplexed as to why Bitten had to go, even though it was one of the oldest and needed an update, they could've easily just added Frostbite. Wendigo Woods had promise and was one of the most elaborate scare zone the park has ever done, shame to see it go, even if it did have problems. Enough reminissing though, time to take a peek at both of these new offerings. First up? Frostbite! It's interesting that they're using the Dark Kastle building for this one, mostly because the ride always did fit with things and judging from the map, it doesn't appear to be open. Odd that. The fire-breathing giant that once guarded the enchanted dark castle has met his chilling demise. He once stalked the premises, providing the warm lifeblood for the stronghold, but now his bones are mere decoration in a macabre icy grave. 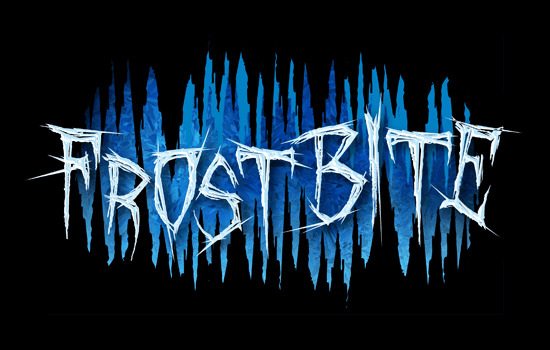 Frostbite now consumes all those trapped within. Those who dare to walk through this fortress are exposed to a harrowing array of chilling elements, from a fog-shrouded graveyard to a creepy cavern filled with frigid creatures. The cold is not the only bone-chilling resident of the castle, however. For the ice has teeth … And this frost … Bites. Okay, now I'm thinking that this is actually going through the ride area itself as well? The queue area for the ride isn't really that long and there's not much else I can see working here other than incorporating the outside, but there's gotta be more than just that since it'd be kind of short and the areas are a bit cramped. They do go on to say that it's totally different story wise than the ride itself and is a walk through, so perhaps that's the case? I'm not sure but I'm intrigued! And now for the the new territory, Axe Alley. Located in the New France section of the park, this one is taking the place of Wendigo Woods and harping on the lumberjack theme which seems like it'd be a bit more fitting near Lumberhack at first glance. Cept, they've gone a totally different direction and themed this one with Norse/Viking themes in mind to go with Invadr, makes sense with the name now. I'm not entirely sure on that, as at first glance the connection isn't there, but maybe it'll work. 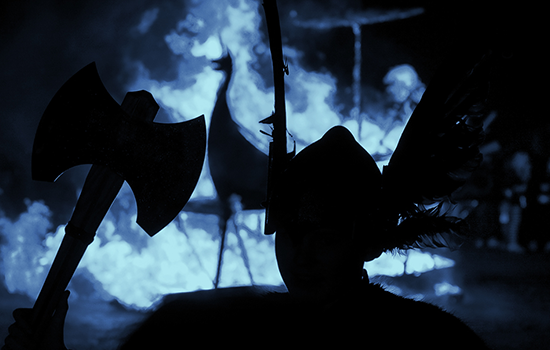 The Norsemen came to invade, but what they got was their own Viking funeral. For this was no ordinary raiding party, but an unleashing of power so grotesque that even those mighty Viking warriors fell prey to its devices. The remains of this horrible attack are strewn among the desolate ruins of smoldering timbers and axe-slashed oak. There’s more hidden among these terrifying artifacts in Axe Alley ™. The spirits are restless and under the control of this madness. They walk the world of the living once more to unleash terror upon the land. Overall, I'm really glad that they're trying new things and trying to innovate the event. After the addition of Unearthed: Scarlett's Revenge the bar was set very high and I only hope that they keep that momentum going with both Axe Alley and Frostbite. On paper, they sound pretty cool, and while they do raise a few questions from a distance, I'm hoping they pull it off. If you're heading out to Busch Gardens Williamsburg to check out this year's event, let us know what you think of it after. Would love to hear how both of these go over with guests! Only three more days until Howl-O-Scream opens on September 23rd, and if you're looking to head out, you can find all the info on tickets, hours, and more on the official website. You can also check out our reviews of past Howl-O-Scream events in the review section right here on the site too!